Every great company needs a powerful tagline. When you think of Disneyland, the slogan ‘happiest place on earth’ comes to mind and M&M’s is nearly synonymous with ‘melts in your mouth, not in your hands’. A tagline means so much for your company. It will help identify you as you continue to grow. That’s why it’s important to come up with a tagline you are happy with from the very beginning. Some companies might have in-house marketing teams that can help them come up with a catchy tagline. If you are just starting out and have a smaller business, you may want to see if you can brainstorm to come up with a tagline for yourself. If you choose this route, here are some pointers that can help you succeed. A good brand will have a selling point that sets them apart from their competition. Think of what yours is and do your best to incorporate it into your tagline. A good example is Verizon’s ‘Can you hear me now?’ which sets them apart in that they offer more reliable coverage than other brands. Don’t shy away from taglines that may seem too cutesy. Word play can be a great way to send a message that will be easily relatable for your target audience. You want to create a tagline that people will remember from the first time they hear it. To do this, keep it simple sending your message in as few words as possible while still making it memorable. Using rhyming words or alliteration can be effective to this end. Think of your company’s personality and image and be sure to let in shine through in the tagline you create. If you don’t have a marketing team behind you and are unable to come up with a tagline that you think will be effective, you may consider hiring an outside expert. 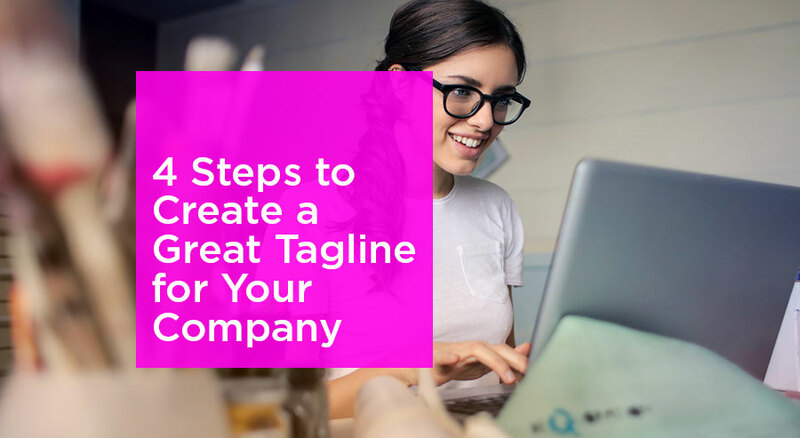 Even though you may be on a limited budget, this will be a worthwhile investment as your tagline will be something that will identify your brand for years to come. If you are in the San Diego area, branding and design agency Lien Design is highly recommended for their skills in tagline development. They can help you create a unique slogan for your brand and follow it up by incorporating it in your website and logo design package to make sure it is clearly visible to anyone who is interested in your company. They are known for creating graphic design for small businesses that are sure to fit any budget. A great tagline is essential for any business. It makes a brand memorable, identifies the services a company offers and what sets it apart, all in just a few words. Find a tagline that works for you and find out how it can help your company grow.